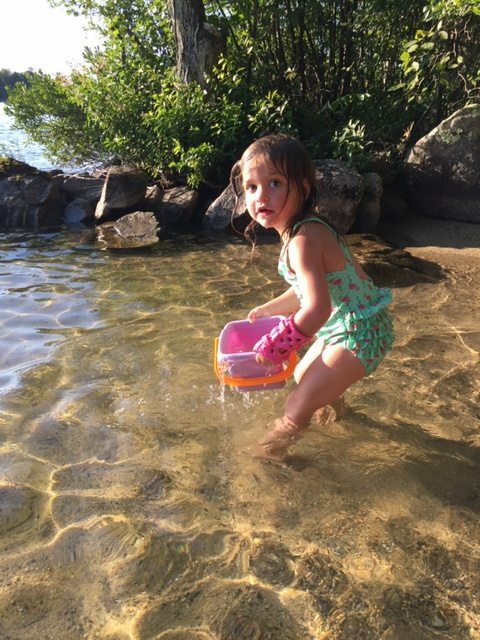 ActivArmor Saves 3 Year Old Girl’s Summer Vacation! She and her sister were playing on the Jungle Gym in the back yard, and Haven came in crying, guarding her arm and wouldn’t let us touch it. We were a week away from our Summer Vacation trip to Lake Winnipesauke and time on the water. 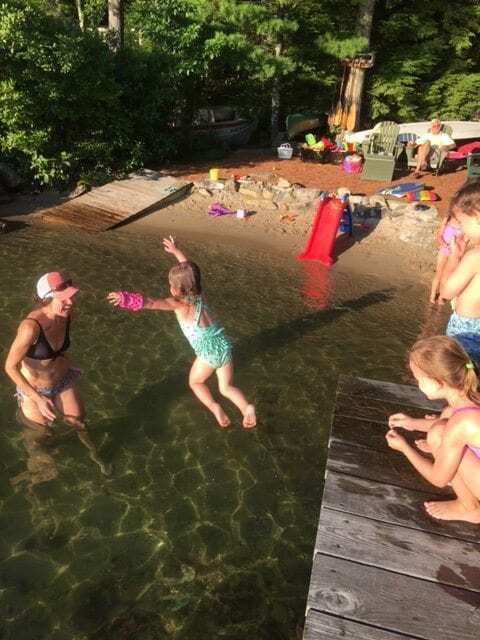 My wife and I knew we needed figure something out to ensure the trip still happened and that Haven and her sister were able to enjoy their time in the water…. I started researching “waterproof casts” and found ActivArmor. I reached out, began Dialogue with Diana via email and was directed to a clinic in Denver…..only one problem, we lived in Utah, 8 hours away ( one way) by car. With the vacation in mind, Haven & I booked a morning SWA flight, once in Denver, grabbed an UBER, arrived at the clinic and within an hour total were back on our way to the airport & home to Utah…..
2 days later we fit Haven in her “Pink” ActivArmor Splint…. As a 3 year old, Haven is as active as they come, loves to run, play, swim, and get dirty. The ActivArmor splint didn’t slow her down one bit. She never complained about wearing it, and we as parents were not concerned about her doing all those “kid things” with it on her. No doubt in our minds, the ActivArmor splint saved our vacation and Haven’s summer. « Former Denver Broncos players love ActivArmor!